Our melts are highly scented with carefully selected fragrance oils to ensure optimum scent throw. 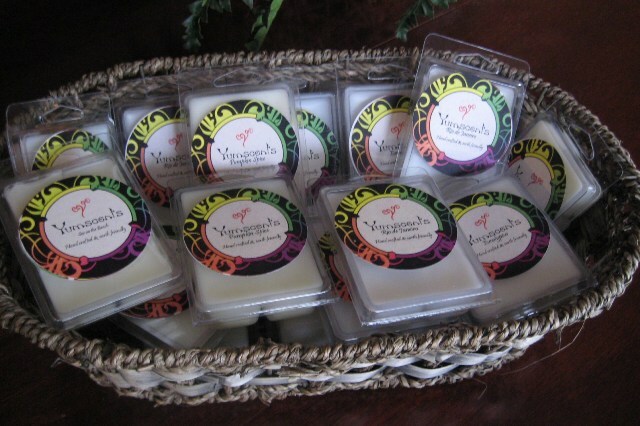 We offer soy melts in a variety of fragrances. Our melts are highly scented with carefully selected fragrance oils to ensure optimum scent throw. Our melts contain no dyes. We are constantly updating our inventory and welcome any requests for fragrances not listed here. Melts are now made with 100% Kosher certified soy wax and are $3.50 each; or stock up and buy 6 or more for $3.00 each.